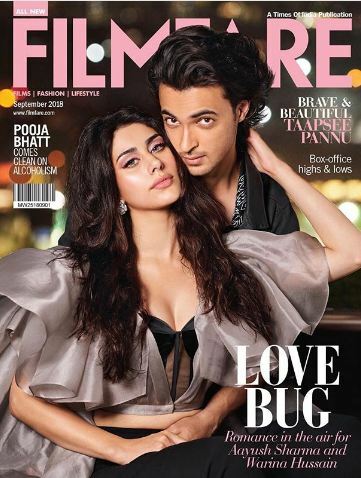 Aayush Sharma and Warina Hussain who are all set to mark their Bollywood debut with Loveratri spill magic on their first ever magazine cover. The duo’s impeccable chemistry and compatibility on the cover of Filmfare’s September issue is nothing less than a wave of fresh air. Aayush and Warina both looked stunning in the picture captured by the ace photographer Avinash Gowariker. Sharing his first ever cover, Aayush Sharma posted the cover captioning, “My first cover ever, it’s extremely special to me”.